Mica Hardware | Garden Pavilion Winners! Home » Garden Pavilion Winners! 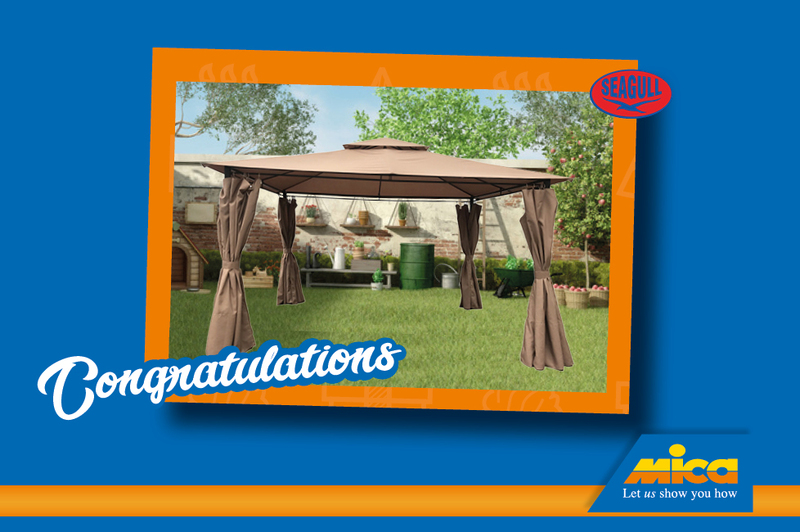 Mica Hardware recently ran another successful competition where 3 lucky Facebook fans could stand a chance to win 1 of 3 Seagull Garden Pavilions to the value of R3 500 each. To enter, entrants simply had to like the Mica Hardware Facebook page and tag someone they loved spending summer days with. This fun Mica Facebook competition was valid from the 23rd October to 4th November 2018. We hope each of you enjoy your new Garden Pavilion and make memories with friends & family!